My Kinda Art: Fire burn, and cauldron bubble. I'm back with another creation using new stuff from Tim Holtz for Halloween 2017. 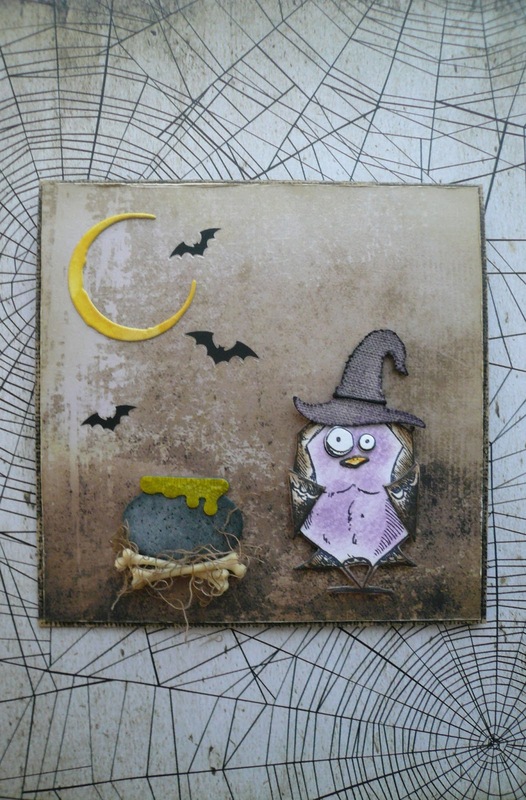 For this 4x4 card I used the cauldron from the new Mini Halloween Dies. It's the perfect size for my favorite bird from the Mini Bird Crazy & Things Stamp Set. I also used the new Haunted House Dies and Halloween Remnant Rubs. Stay tuned, there's more to come. Thanks for stopping by!